The following short letter appeared in the Coventry Telegraph newspaper today (Weds 30th October) from Socialist Party member Dan Crowter. We urge you to join the fight for socialism. Please fill in the details in the box below. 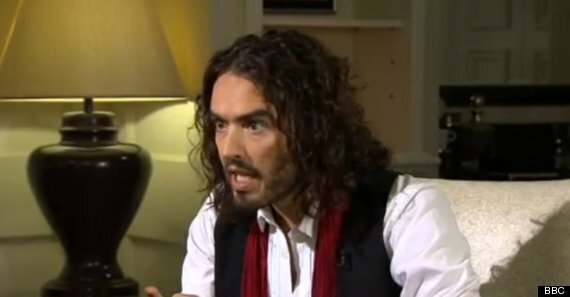 It’s not often you turn on the TV and see a comedian calling for revolution, but that’s exactly what Russell Brand said on Newsnight last week! His passionate call for equality struck a chord with millions of people. Our society is run by the super-rich. They control the economy, the media and our political parties. They caused the banking crisis, but we’re the ones paying for it! Russell Brand might not be right about everything, but he’s right that things need to change. We need a socialist system that helps the millions, not the millionaires. Before the building gets knocked down, we need to have and to agree upon the plans for a new one and we need plans for the transition period. It is easy to knock a building down but a lot more difficult to build one. Russell Brand is demolishing with no plans for shelter – that is where the emphasis is needed. The Venus Project is about all that seems to be presented at the moment. There is a lot to be discussed. Hi Tom, thanks for your comment, you may be interested in this link.